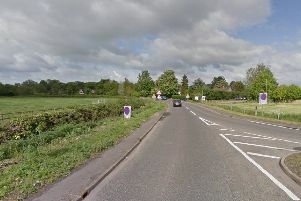 Suzanne Foulstone, 44, from Lavender Crescent, was killed in a collision on the A47 at Castor on Thursday evening. There will be an opportunity for friends of Suzanne to come together and share their memories and feelings on Tuesday, April 11 at 11am at the Friends Meeting House, Thorpe Road, Peterborough. She had been a volunteer befriender for the Cambridgeshire Deaf Association for 12 years and was well known in the deaf community throughout Peterborough and Cambridgeshire. Andy Palmer, Managing Director of Cambridgeshire Deaf Association, said: “I knew Suzanne very well and was in regular contact with her. I’d always make sure she knew how much I valued her work. “She was an outstanding volunteer and made she made such a difference to those she volunteered with. A post on the Cambridgeshire Deaf Association’s website reads: “It is with deep sadness that we received the news of the passing of our great friend Suzanne Foulstone. “Suzanne had worked for CDA as a volunteer befriender for 12-years and she changed the lives of the people she worked with for the better. She gave up her time willingly to support other deaf people in need. She bought humour, laughter and her positive attitude to all the people she worked with. She did this consistently and reliably for many years despite concerns about her own health. She was truly loved by her clients and will be deeply missed. “She became the light wherever she saw darkness. “Suzanne was well known in the UK Deaf Community who are today in collective shock. The outpouring of grief displayed on social media is testament to how many lives Suzanne touched across the country. “We would like to say to Suzanne’s family and many close friends that although we don’t bear the full impact of this tragedy, we feel your loss and are thinking about you very much. “So many people will have their own precious memories of Suzanne’s humour, friendship, good nature and smile. We also remember her selfless dedication and service to the deaf community. There will be an opportunity for friends of Suzanne to come together and share their memories and feelings on Tuesday, April 11 at 11am at the Friends Meeting House, Thorpe Road, Peterborough. Please use the nearby public car parks as parking is limited. People who knew Suzanne can come and share their memories of her, their thoughts and feelings or to just be in the company of others at this difficult time. Suzanne’s sister Jenny will be in attendance.